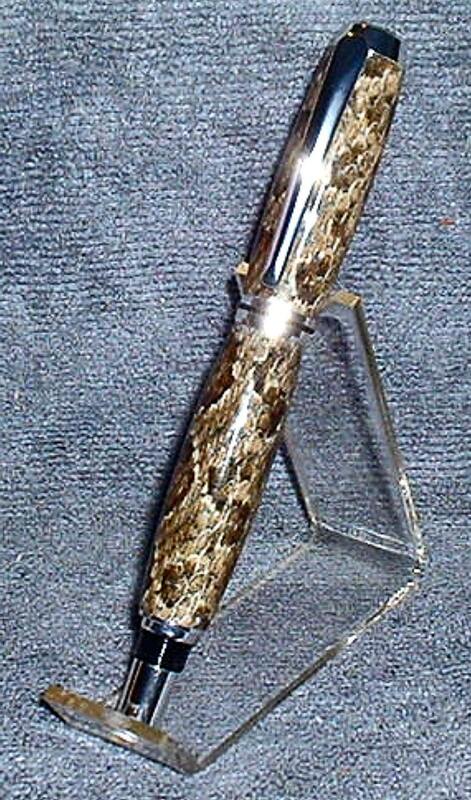 This is a silver plated Baron Fountain Pen made with a Rattlesnake skin acrylic pen blank. The snakeskin is glued to the brass tubes and then cast in a clear acrylic. It was hand turned on my lathe then sanded and polished to a glossy shine. Purchase includes one black ink cartridge and one refillable reservoir as shown in picture 5. Pen ships in a felt drawstring bag. Gift box available upon request for an additional $4.00. Please contact me prior to purchase if you want a gift box so that I can add the cost to the listing.